When it comes to snacking, we heart granola and its many health benefits, including its ability to lower cholesterol, regulate digestion, improve heart health, increase energy, prevent anemia, and promote proper organ function. Like, whoa. Talk about a powerful snack! We’re always seeking healthier alternatives than our beloved potato chips, but sometimes we run out of ideas for how we can switch things up. 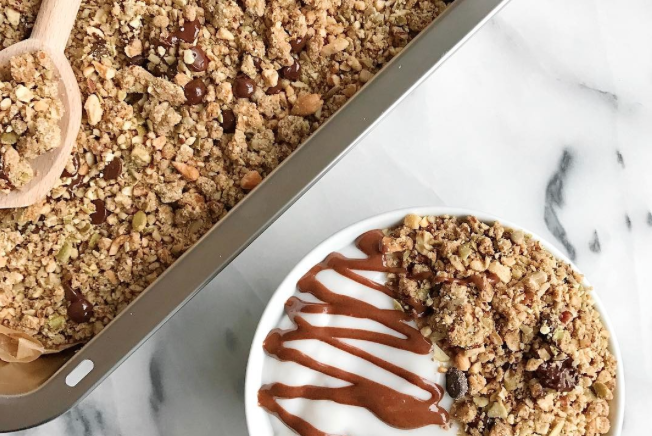 Luckily, the genius, super creative foodies of Instagram are seriously bringing it with these super simple, but totally yummy, granola recipes. We hope you enjoy these granola recipes as much as we do!